VitalityPress: Are toxic treatments a thing of the past? Are toxic treatments a thing of the past? Lots of women with early-stage forms of breast cancer don't need chemotherapy. At least that's the bottom line of a major international study, according to a recent report by Denise Grady in The New York Times. Grady quotes Dr. Ingrid A. Mayer of Vanderbilt University Medical Center, an author of the study, as saying, "We can spare thousands and thousands of women from getting toxic treatment that really wouldn't benefit them. This is very powerful. 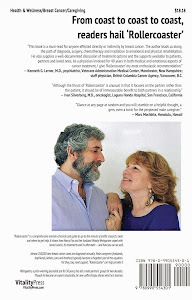 It really changes the standard of care." Instead of chemo, the study found, some women could "take only a drug that blocks the hormone estrogen or stops the body from making it." 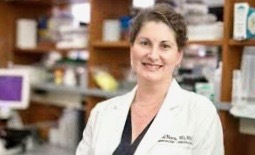 That drug, tamoxifen, and related medicines "have become an essential part of treatment for most women," Grady's article says, "because they lower the risks of recurrence, new breast tumors and death from the disease." The findings, which refer to that alternative endocrine therapy, apparently apply to about 60,000 women a year in the United States, according to Dr. Joseph A. Sparano of Montefiore Medical Center in New York, the study's leader. The Times quotes Sparano as saying that "now we can spare chemotherapy in about 70 percent of patients who would be potential candidates for it based on clinical features." But, the story adds, both Mayer and Sparano say women 50 and younger "might benefit from chemo even if gene-test results suggest otherwise. It is not clear why. But these women require especially careful consultation, they said." The study, called TAILORx, was published in The New England Journal of Medicine and presented at a Chicago meeting of the American Society of Clinical Oncology. It was started in 2006 and was paid for by the U.S. and Canadian governments and philanthropic groups. After 2016, Genomic Health, the company that makes the gene test Oncotype DX Breast Cancer Assy, the one most used in the United States, helped pay for it. The test, available since 2004, costs about $3,000, and insurance usually covers it. Some 260,000 new cases of breast cancer are expected in women in the United States this year, and 41,000 deaths. Globally, according to the Times, "the most recent figures are from 2012, when there were 1.7 million new cases and more than half-a-million deaths." Chemo, long feared because of nausea and hair loss, puts patients at risk for infection and leukemia later in life. But endocrine therapy also has side effects. According to Grady, they include "hot flashes and other symptoms of menopause, weight gain and pain in joints and muscles." Tamoxifen can increase the risk of cancer of the uterus, the story notes. Despite the discomforts and risks, women with breast cancer have been getting chemo since 2000, when the National Cancer Institute recommended it even for those whose disease had not spread to lymph nodes "based on studies showing it could prevent the cancer from recurring elsewhere in the body and becoming incurable." Sparano contends, however, that although "recurrences were being prevented, and lives prolonged…we were probably overtreating a lot of these women." Mayer admitted that "we couldn't figure out who we really needed to treat." 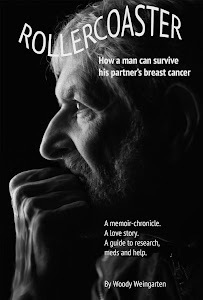 More details on studies about the disease, treatments and risks can be found in "Rollercoaster: How a man can survive his partner's breast cancer," a VitalityPress book I, Woody Weingarten, aimed at male caregivers.